Home » Geography » The “Russian World”—What And Where Is It? In the past five weeks or so, my students in “Russia Beyond the Russians” course at the Santa Clara University’s Osher Institute and I have grappled with the notion of ethnicity (or “nationality”) as it is understood—and has been understood throughout history—in Russia. While ethnic groups are often defined by their language, our examination of the conflict in Ukraine has shown that ethnicity and language do not always go hand in hand (see also Martin Lewis’ GeoCurrents post). Other factors, such as genetic descent, religion, shared history, and commonality of culture and traditions, play a role in defining ethnicities, at least as this concept is understood in Russia. Importantly, we have discussed how the notion of ethnicity can easily be manipulated for political purposes: entire populations may be reassigned to a different ethnic group by a government decision, and the understanding of what it means to be a member of a certain group can be changed. All of this strongly supports the view espoused by most present-day Russian anthropologists and sociologists, namely that “ethnicity” is a social construct rather than a natural phenomenon (as it was understood, for example, by Lev Gumilev). While the concept “ethnicity” is intricate and malleable, the notion of the “Russian world” (in Russian: «русский мир») is even more so. The expression is frequently used today in political and ideological discourse, yet it is not new. The earliest mention of the “Russian world” is found in an 11th century religious document, where it seemingly refers to the sphere of influence of the Russian Orthodox church. In the 1800s, the expression typically referred to East Slavs who spoke closely related languages/dialects, descendants of Old Russian. (The term “Old Russian”, which refers to Common East Slavic, derives from the word Rus’ rather than Russia.) 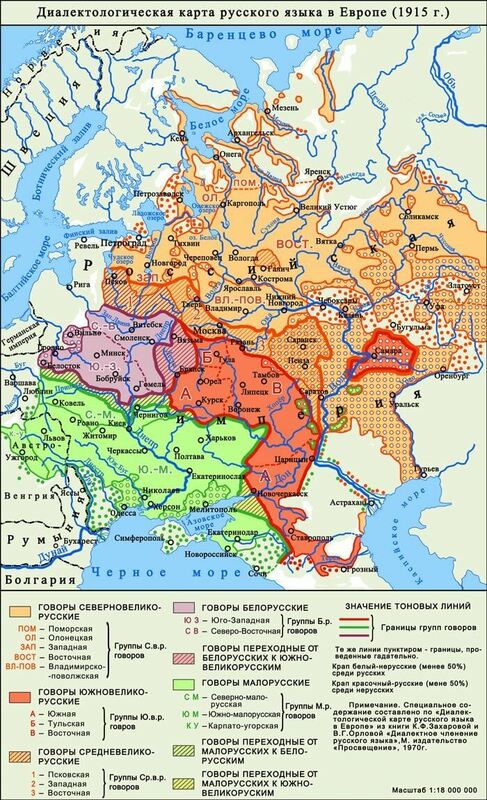 As late as the early 20th century, linguistic maps depicted Ukrainian and Belarusian dialects as “Dialects of Russian” (see for example the map reproduced on the left). The concept of the “Russian world” was revived and popularized by President Vladimir Putin, who said in a speech dedicated to the beginning of the Year of the Russian language (2007): “The Russian world can and must unite all those, who cherish the Russian word and the Russian culture, wherever they might live, in Russia or outside of it. We should use this expression, “Russian world”, more often.” As explained in the Wikipedia article, in the contemporary ideological conception, the “Russian world” is a transnational, transcontinental “civilizational space”, unified by common religion (Russian Orthodoxy), common language and culture, and shared historical memory and views on the future path of Russia. As such, this concept combines a concrete physical space with an abstract ideology. Moreover, the notion of the “Russian world” bears an uncomfortable resemblance to the infamous 19th century slogan of “Orthodoxy, Autocracy, Nationality”— the co-called Uvarov’s triad (named after Sergey Uvarov, Nicholas I’s Minister of Education), which is also currently being “dusted” and revived as part of the official state ideology in Russia. But while the political regime, “Autocracy”, is a vital part of Uvarov’s triad, it is downplayed in the conception of the “Russian world” and replaced by a vaguer notion of shared memory and acceptance of a certain political framework. Because the notion of the “Russian world” is so ambiguous and elusive, it is not surprising that many Russian citizens have only an imprecise idea of what the expression means, as has been shown by a recent survey conducted by the Russian Public Opinion Research Center (WCIOM): 71% of the respondents in the survey claim to have “never heard the expression “Russian world””, while an additional 15% of the respondents have heard the expression but cannot explain what it means or “find it difficult to respond”. Only the remaining 14% of the respondents have some idea, however vague, what the “Russian world” refers to, and their ideas differ substantially. Some 3% of the respondents define the “Russian world” as “all the Russian people”, but this definition merely replaces one vague concept with another equally vague one. Another 3% of the respondents see the “Russian world” as “those who were brought up in the traditions of the Russian culture”, another definition that would be extremely difficult to operationalize (more on this below). Only 1% of the respondents take this expression to refer to native speakers of Russian. Another group, also 1% of the respondents, think that the “Russian world” is a nationalist movement (in Russian: националистическое движение). Another 1% say that the expression means “peace for Russia, for the Russians (when we don’t have a war)” (in Russian: Мир для России, для русских («когда у нас нет войны»)). 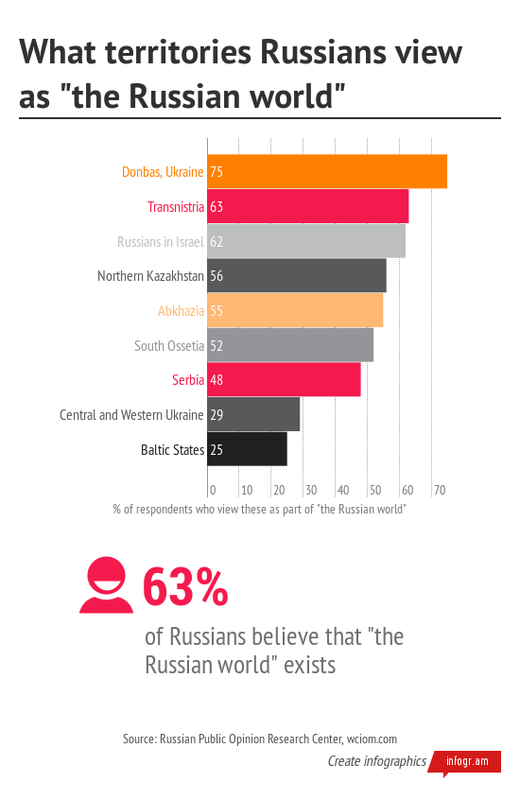 Another view, also held by 1% of the respondents, equates the “Russian world” with “Russia, the Motherland”. Other views, held by less than 1% of the respondents each, include “the community of people living in Russia”, “people following the Orthodox faith”, “patriots”, “spiritual unity of the Russian people”. Small minorities of respondents thought that the “Russian world” refers only to a store (less than 1%) or a magazine (less than 1%). Regardless of how individual respondents understand the expression—those who have actually heard it at all—only about two thirds of them think that the “Russian world” actually exists. Overall, it appears to be a learned concept, as the proportion of people who believe in its existence is higher among college graduates (64%) than among people who have not completed secondary school (50%). The survey also explored several criteria that may be used to define the “Russian world”. (The numbers below are the percentages of those respondents who have heard the expression and believe in the existence of the “Russian world”.) One such criterion is faith: about a quarter of the respondents restrict the meaning of the “Russian world” to people of the Orthodox faith. (As far as I can tell, the survey did not ask about following a particular national church within the Orthodox faith, such as the Russian Orthodox vs. the Ukrainian Orthodox; more on the different Churches’ views about the “Russian world” below.) Curiously, education level appears to correlate with whether a respondent limits the “Russian world” on the basis of faith: almost one in three college graduates limits the meaning of the expression to “Orthodox people” while among the respondents with incomplete secondary education only 11% do. This difference, however, seems to be more of an effect of respondents’ certainty, as the number of those who think that the “Russian world” includes not only the Orthodox believers but also followers of other faiths and unbelievers is approximately the same among people of different education levels; yet far fewer respondents in the most educated group choose the “difficult to respond” answer. Language is another important component of the “Russian world”, but only 38% of the respondents think that it includes only “people speaking Russian”, while over half of the respondents believe that the “Russian world” may also include speakers of other languages. (It should be noted that, as with faith, the question about language too was formulated rather vaguely; yet, as my examination of the language question in Ukraine shows, native speakers of a given language cannot be equated with active users.) The association between the notion of the “Russian world” and the Russian language is stronger among the most educated respondents: 40% of them believe that only Russian speakers are to be included. Among respondents with incomplete secondary education, only 11% think so. The difference in terms of respondents’ certainty in answering this question is particularly striking: only 3% of the most educated respondents chose “difficult to respond”, while this number in the least educated group is 33%. Other criteria besides faith and language also play a role in defining the “Russian world”. Ethnic identity is a defining criterion of the “Russian world” for about a third of the respondents, while two thirds extend it to people of other ethnicities (“nationalities”). The extension of the “Russian world” beyond ethnic Russians correlates with age: the older the respondents the more likely they are to include non-Russians within the “Russian world”. Only 55% of the youngest respondents (aged 18-24) include people of other ethnicities, while among the oldest respondents (over 60 years of age) 75% adopt the broader definition. This extension of the “Russian world” beyond ethnic Russians is particularly interesting because the revival of this concept in recent years has been driven in part by the legal standing of ethnic Russians: unlike the so-called titular ethnicities (e.g. 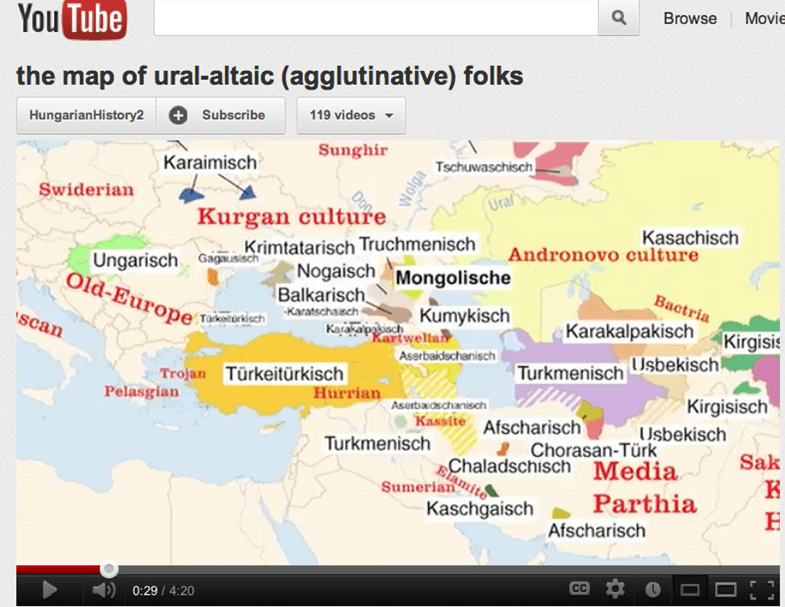 Tatars, Yakut, Chechens, etc. ), which are given certain legal rights by the Constitution of the Russian Federation, ethnic Russians are not considered a titular ethnicity anywhere. 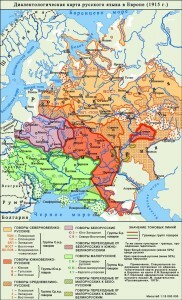 The special rights were granted to the titular ethnicities because all of them constitute a small minority of Russia’s total population (Tatars, the largest non-Russian ethnic group, constitute less than 5% of the total population); moreover, most titular ethnicities constitute a minority even in the federal subjects of which they are the titular ethnicity (e.g. the Mari constitute 44% of the population of their “ethnic republic” of Mari-El). Since ethnic Russians constitute over 80% of the population of the Russian Federation as a whole and, in most federal subjects, they are the majority (or at least the plurality) group, no special rights were granted to them by the Constitution. Some Russians now see this situation as paradoxical and discriminatory, and so the idea of the “Russian world” was meant to create a virtual entity in which Russians would be the titular ethnicity. However, it appears to have lost that narrowly ethnic meaning and become significantly broader. According to the WCIOM survey, the territory of present-day Russia is a defining criterion for only about a third of the respondents, while approximately two thirds of them think that the concept extends to people living outside of Russia. Curiously, women tend to have a broader definition of the “Russian world”: 72% of female respondents extend beyond the territory of the Russian Federation, while only 61% of male respondents do. Below, I shall return to the question of which specific territories outside of the Russian Federation are thought to be included in the “Russian world”. Of the different criteria explored in the survey, “Russian culture” appears to be the most important: 45% of the respondents restrict the “Russian world” to “people belonging to the Russian culture”. But defining one vague concept through another, equally vague concept is hardly helping to pin down its definition, and while the bounds of “Russian culture” seems to be clear-cut to the so-called “hurray-patriots” (in Russian: ура-патриоты), this phrase can be understood very differently, depending on one’s views and agenda. The “Russian world” purists who limit it on the basis of faith, language, territory, and/or traditional values are sure to exclude almost the entire pantheon of Russia’s greatest cultural icons. Does Russian culture include the Russian-language literary works of such Nobel-prize-winning authors as the Jew Boris Pasternak and the émigré Ivan Bunin? Or if one’s definition does not rely exclusively on the Russian language, shouldn’t Russian culture include the works of the Yiddish-language writers Mendele Mocher Sforim and Sholem Aleichem? In other cultural and artistic fields that are not as tightly connected to language the question of inclusion into Russian culture is even trickier. Are paintings by such Jewish artists as Isaac Levitan (who was born in Poland) and Marc Chagall (who lived and worked in France) part of the Russian culture? What about the works of the Crimea-born ethnic Armenian Ivan Aivazovsky and of the Ukrainian-born ethnic Pole Kazimir Malevich? Does Russian culture include such architectural masterpieces in Saint Petersburg as the Spit of Vasilievsky Island, developed by a Swiss-Italian-born architect Domenico Trezzini, or the Winter Palace, home of the renowned Hermitage Museum, built by a French-born Italian architect Francesco Bartolomeo Rastrelli, or Saint Isaac’s Cathedral, designed by a Frenchman Auguste de Montferrand, who was “not Russian enough” to be buried in the cathedral he had spent 40 years building? Equally debatable is the inclusion in “Russian culture” of the music of Mikhail Glinka, who was of Polish descent (but recall that it was his “Patrioticheskaya Pesnya” that served as Russia’s national anthem in 1990-2000), and of César Cui, who was of a mixed French-Lithuanian descent. And since many advocates of the “Russian world” emphasize “shared traditional cultural values”, should cultural icons of what is euphemistically known in Russia as “non-traditional sexual orientation” be struck from the roster of “Russian culture”? Yet, Russian culture is hardly imaginable without the music of Pyotr Tchaikovsky or the famous Ballets Russes of Sergei Diaghilev. Most ironically, the creator of the above-mentioned “Orthodoxy, Autocracy, Nationality” formula, Sergey Uvarov, was known for his homosexual affairs, which became a subject of a satirical verse by Alexander Pushkin, another one of Russia’s greats whose African roots should make “Russian culture” purists uncomfortable. The elusive nature of the concept “Russian world” is the reason why the WCIOM survey respondents had very different ideas as to which specific groups outside the core of “Orthodox, Russian-speaking, ethnically and culturally Russian citizens of the Russian Federation” belong to the “Russian world”. As can be seen from the chart reproduced on the left, the best candidate for inclusion in the “Russian world” is Donbass, the area in eastern Ukraine that has seen the most tensions and violence in recent months. Three quarters of the respondents include it in the “Russian world”. The second spot in this ranking is taken by Transnistria, a thin sliver of eastern Moldova, along the Ukrainian border: 63% of the survey respondents think that it too belongs in the “Russian world”. 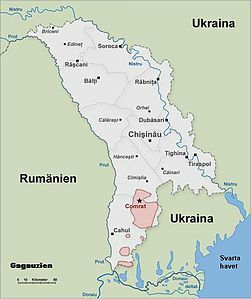 As discussed in my earlier post, there is some discussion of a potential accession of this region into the Russian Federation, although the proposition is not without problems and challenges, as reflected by the fact that a large percentage of the survey respondents could not decide if Transnistria is “in or out” (19%, second only to 21% of the respondents uncertain about the status of Serbia). It should be noted that on several occasions, Moscow Patriarch Kirill has proclaimed the entire country of Moldova to be included in the “Russian world”. They proposed a new penalty for traffic violators. For the first offense, the offender gets a hole punched in his driver’s license. For the second violation, he gets another. After the third offense, the fifth item in his passport is to be changed to “a Jew”. That now those same Russian-speaking Jews—and even their descendants who may have never been to Russia—are considered by many Russians to be part of the “Russian world” boggles the mind. Other areas thought to be included in the concept of the “Russian world”—and where Russia exerts its imperial ambitions—include northern Kazakhstan (56%), Abkhazia (55%), South Ossetia (52%), and even Serbia (48%), whose connection to the Russian culture is rather tenuous. It is not (and has never been) part of the Russian state, there are very few ethnic Russians in Serbia, and the Russian language has only a minor role to play (even the Serbian language is now more and more often written in the Roman rather than Cyrillic alphabet). But Russia has historically viewed Serbia as part of its sphere of influence in the Balkans and participated (or promised to participate) in military hostilities on the Serbian side. Finally, a quarter to a third of the respondents also think that central and western Ukraine (Kiev, Lviv) and the Baltic states are to be included in the “Russian world”, which goes a long way in explaining why many people in these countries are concerned about Russia’s expansionist ideas. For example, Ukrainians are split in their views of the “Russian world” and what role it should play in their country’s future. Ukrainian nationalists and leaders of the Ukrainian Orthodox Church under the Kiev Patriarch and of the Ukrainian Autocephalous Orthodox Church have long protested against the idea of the “Russian world”, which they take to be a decentralizing force that could result in a break-up of a united Ukraine. The Ukrainian Greek Catholic Church takes a more ambiguous position, and the Ukrainian Orthodox Church under the Moscow Patriarch Kirill supports the expansion of the “Russian world”. All in all, the expression “Russian world” is a perfect illustration of Lewis Carroll’s Humpty Dumpty principle: “it means just what [we] choose it to mean — neither more nor less”.